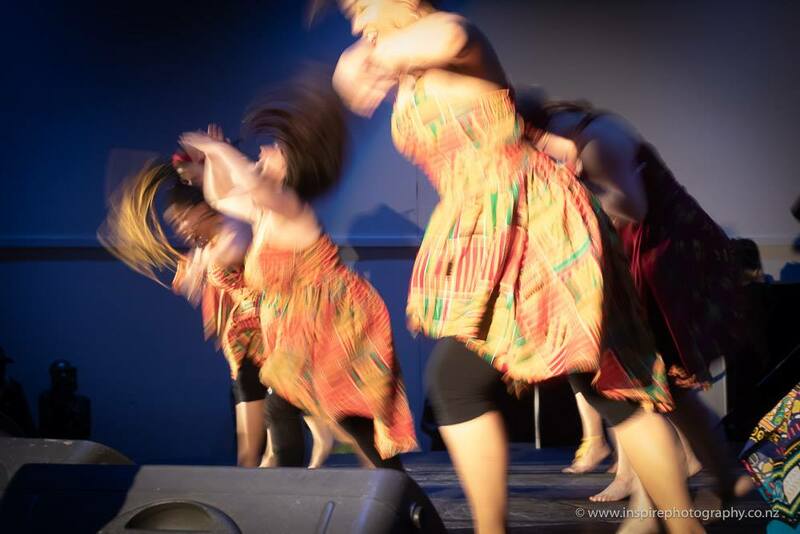 The Moringa Dancers are a high energy, high tempo dance group influenced by West African music and culture in Wellington, New Zealand. 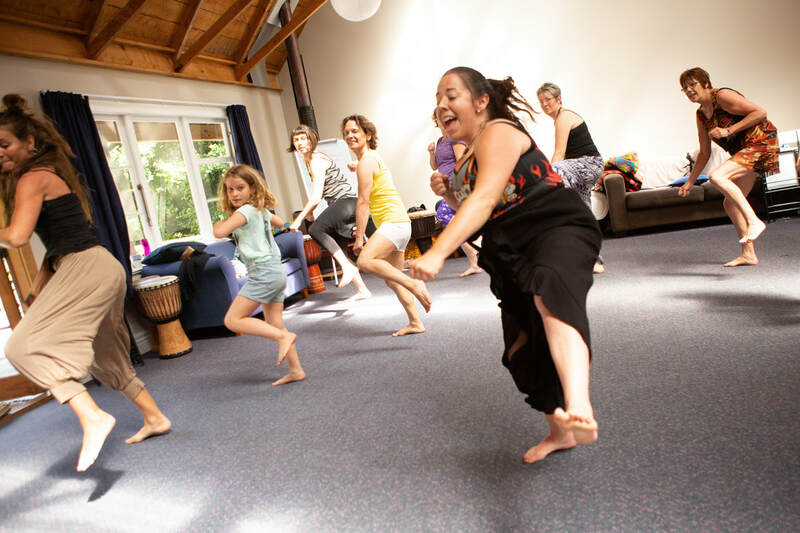 We provide weekly community dance classes, and host workshops with international and NZ guest artists. 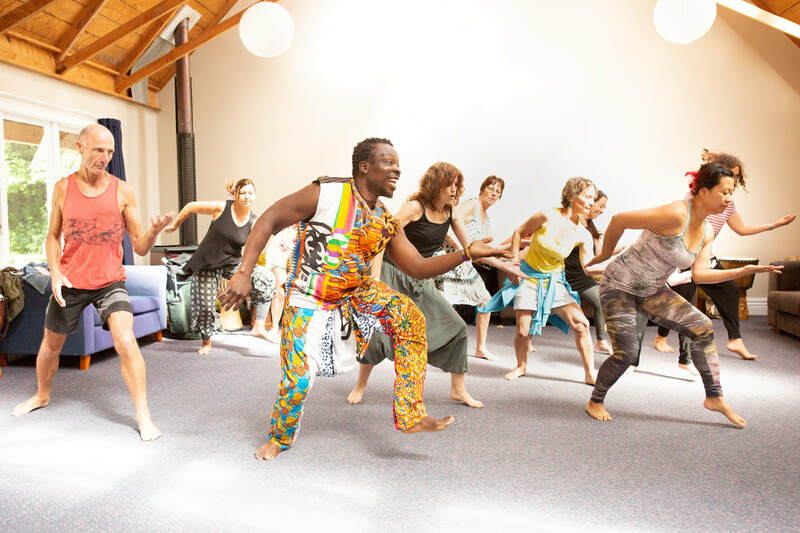 We offer fun, uplifting workshops and performances for your festival, school, organization, community event or party. 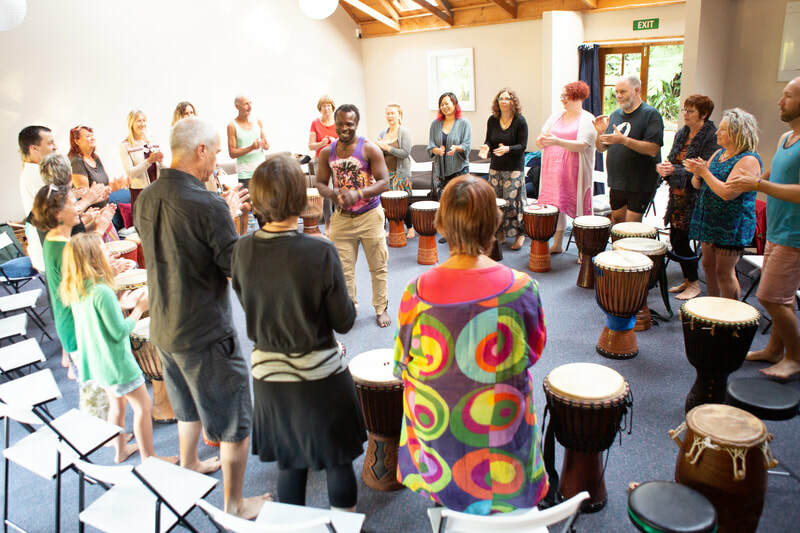 We perform and facilitate in collaboration with our partner African percussion band, Kubatana, and our friends at African Beats NZ to create a powerful synergy of movement and music bringing life, energy and joy to every occasion. ​with Moringa Director, Jenny Bloomfield. Live drumming led by Simon Elwell. In this fun and funky dance form you get to drum while you dance. Have heaps of fun challenging your musicality and fitness at the same time!! Bookings Essential - Drums provided. 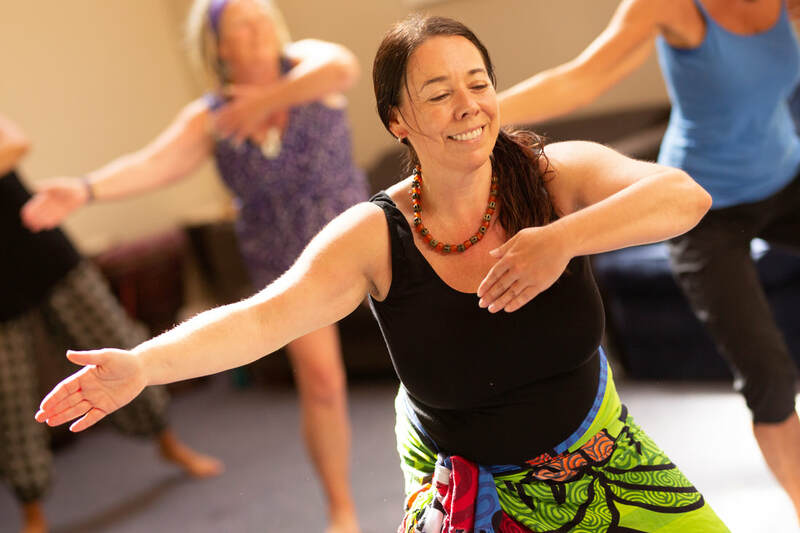 We had such a wonderful time at the Glorious Waihoanga River Lodge & Retreat Centre, deepening into the rhythms and dances with Robert Koffie Fugah (Kadodo), Jenny Bloomfield (Moringa Dancers) and Simon Elwell (African Beats NZ). ​A great time was had by all!! 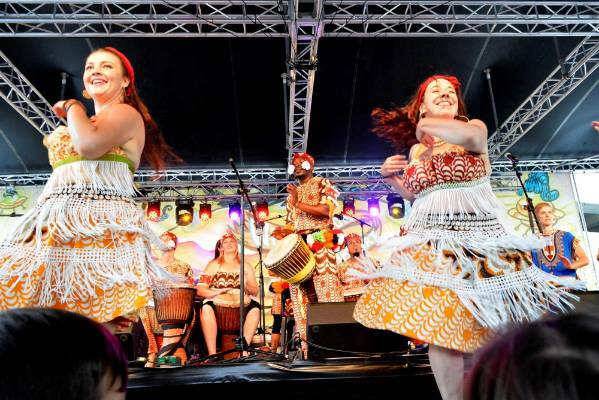 It was heaps of fun collaborating with Kubatana and drummers from far and wide to create a high energy performance for the festival stage then taking our party onto a float for the parade, providing a vibrant soundtrack and bringing the energy with some funky moves! It was a beautiful sunny day to be out sharing the joy. Many thanks to Bizlink Hawera and Whanganui Community Drumming. 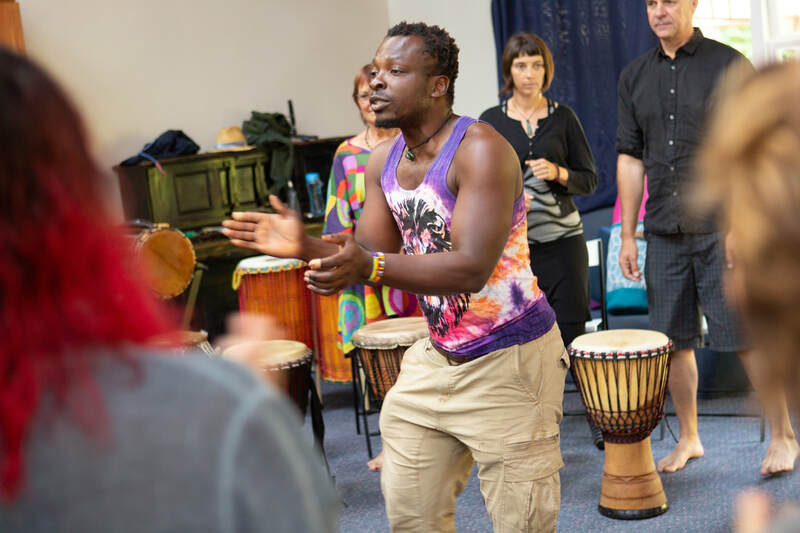 When the bicycles and pedestrians took over the streets, we were enjoying taking over our own little patch of Taranaki Street with African Beats NZ! What a cool initiative! 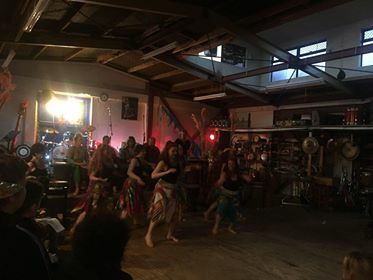 We danced to celebrate diversity and human rights in NZ, amongst many different cultures showcasing their music and dance onstage! 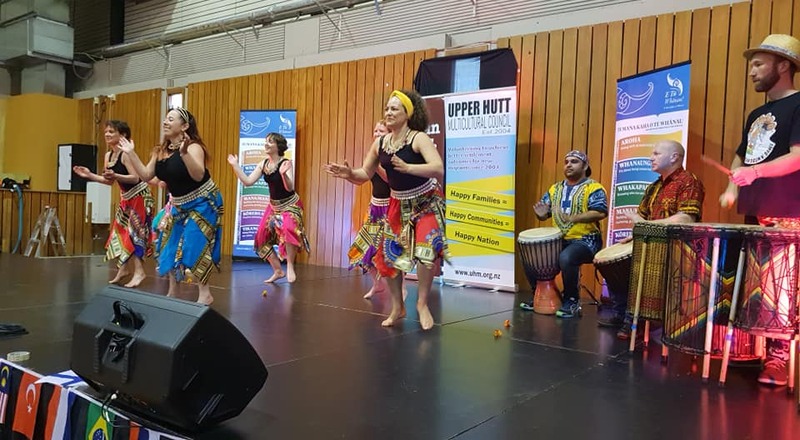 We had a great boogie with Kubatana to celebrate the opening of this great creative hub, now providing access to arts and music for all to the Newtown community! 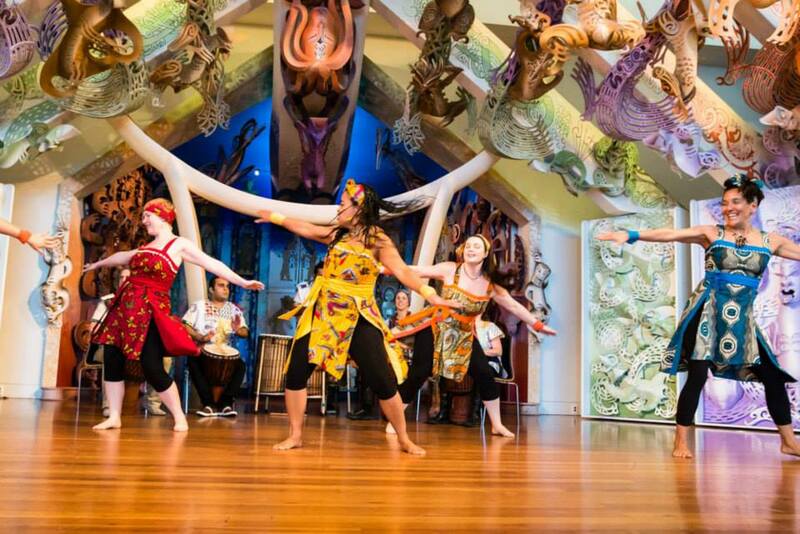 We had an awesome day dancing with Kubatana on Te Marae at Te Papa! It was super fun dancing with some very enthusiastic kids. We danced with the 2 maestros of Ghanaian rhythm & dance making the drumming fast and furious for us, and it was an awesome experience! We were delighted to welcome an extraordinary dancer and teacher, Maputo Mensah, originally hailing from Ghana, and currently based at the University of Boulder, Colorado. 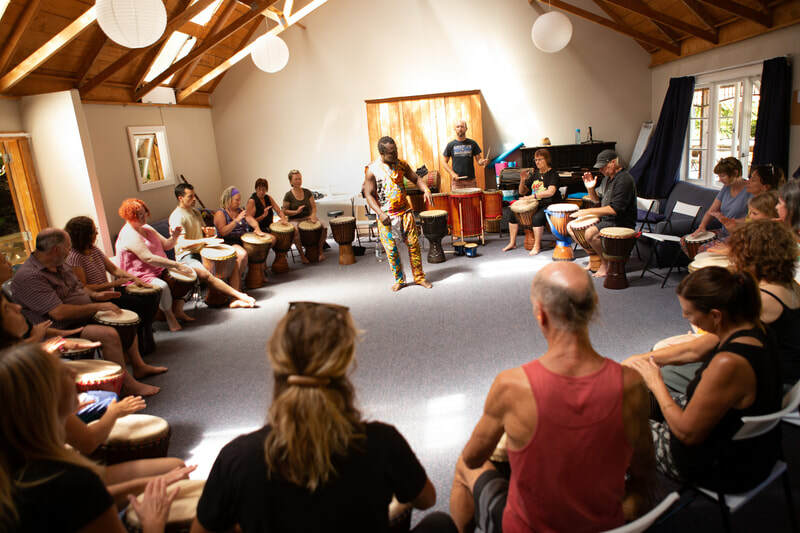 African drum & dance camp with Maputo Mensah and Robert Koffie Fugah at Tapu Te Ranga Marae. Ghanaian dance, singing and drumming with 2 inspiring talented teachers/performers and cultural ambassadors. It was heaps of fun teaching in the street at Cuba Dupa with the Kadodo Drummers!! What a buzz. Looking forward to more collaboration with Koffie and Kadodo at our retreat in Otaki next month! 24 March 2018, we had a rocking performance with Koffie Fugah & Kadodo on the Swan Stage! 2-4 March 2018. 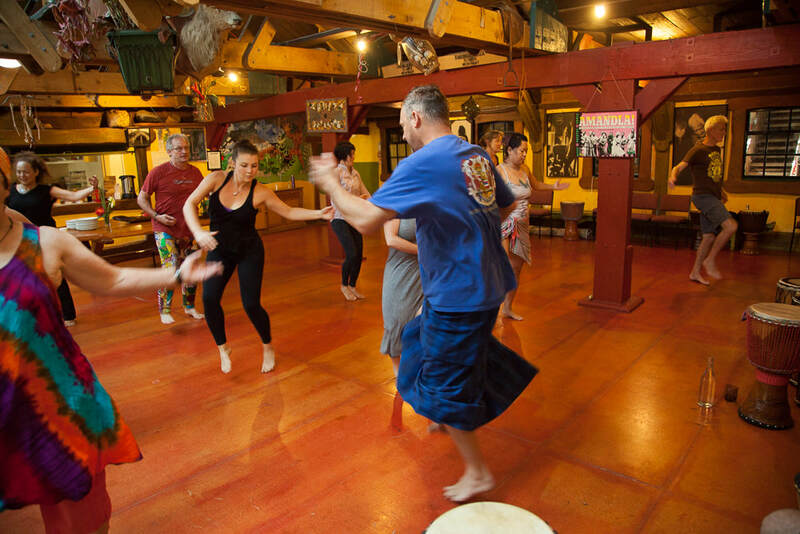 We welcomed Chris Berry back to Tapu Te Ranga Marae for an inspiring 2 day/2 night immersion into Bana Kuma rhythms. 23-25 February 2018. A camping arts festival for families with kids at last! ​We loved performing & roving around all weekend, joining in the merriment!